Vendors and food stalls on the island of Koh Samui, Thailand. 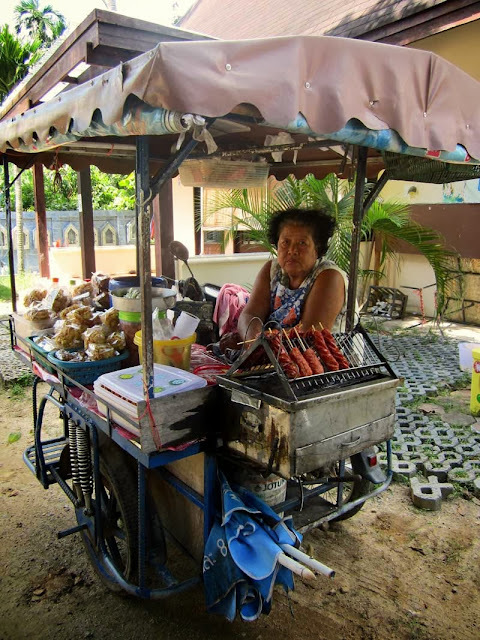 A woman selling short eats and snacks outside a tourist spot on the island of Koh Samui in Thailand. Eating food from vendors is inexpensive. You get a wide variety from the different vendors. 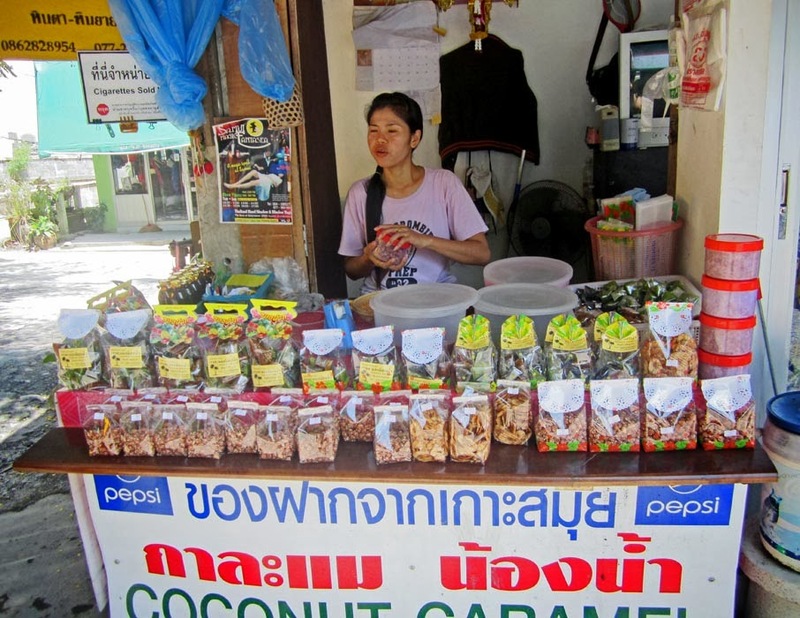 A young woman vendor selling food in sealed packets on the island of Koh Samui, Thailand. 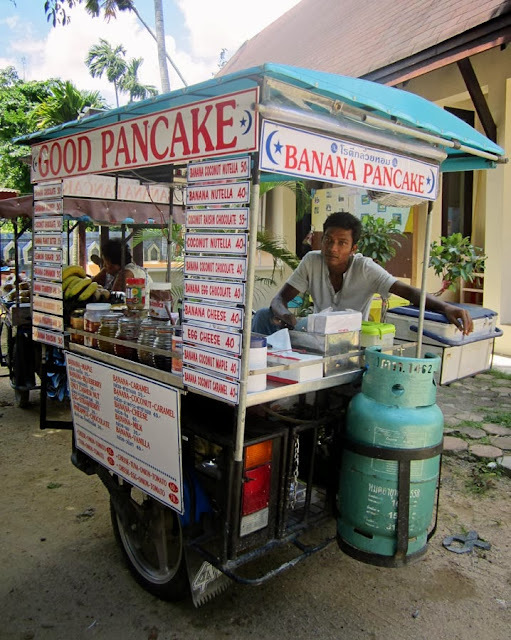 A young man selling a wide variety of snacks like banana pancakes and different type of sandwiches on the island of Koh Samui in Thailand. He has a gas cylinder attached to his mobile cart. He cooks here. Fruit Vendors vs supermarkets in India or Road-side food stalls or street food in India or Young woman selling raw mango slices in South India. Or check out all the images taken in Thailand.